Emergency kits with disaster supplies and toilet seat. 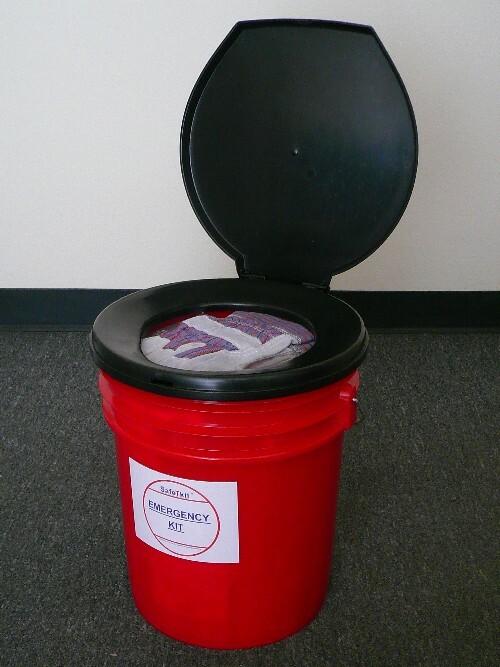 When you have to evacuate and can no longer use previously existing facilities, then this toilet emergency kit might be the solution to many of your problems. The kits come with emergency food and water supplies for 3 days, they contain emergency tools and sanitary items all packed in a sturdy 5 gallon bucket with lid and optional toilet seat. The toilet seats are designed to snap onto the pail for use anywhere.